Failure to pay condo fees is a cost paid by all condo owners. Condo owners unable to pay condo fees may request an extension or special arrangements. The reality, however, is that condo corporations require condo fees for maintenance, repairs, employee salaries and payment of invoices. Delay in receipt of condo fees creates a cash shortfall that places all condo owners at risk. 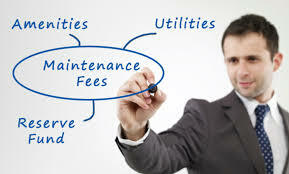 A condo owner short on funds makes a personal decision on which bills to pay. This choice may relegate payment of condo fees below that of a cell phone bill, utility payments, eating out or a vacation. A condo corporation should ensure it and other condo owners are not compromised by such personal choices. More serious personal situations may include health problems or loss of employment. While unfortunate, these are not situations that should be transferred to the condo corporation and other owners. Those with a mortgage who fall behind in payments may find that a lender will pay outstanding condo fees to protect their investment. Should condo fees go unpaid for an extended period the only way for a condo corporation to ensure payment of condo fees may be by filing a lien at the earliest possible time. Special arrangements for payment of condo fees is discouraged. Condo boards can place themselves at personal financial risk if they delay on implementing a lien and payment is not received.